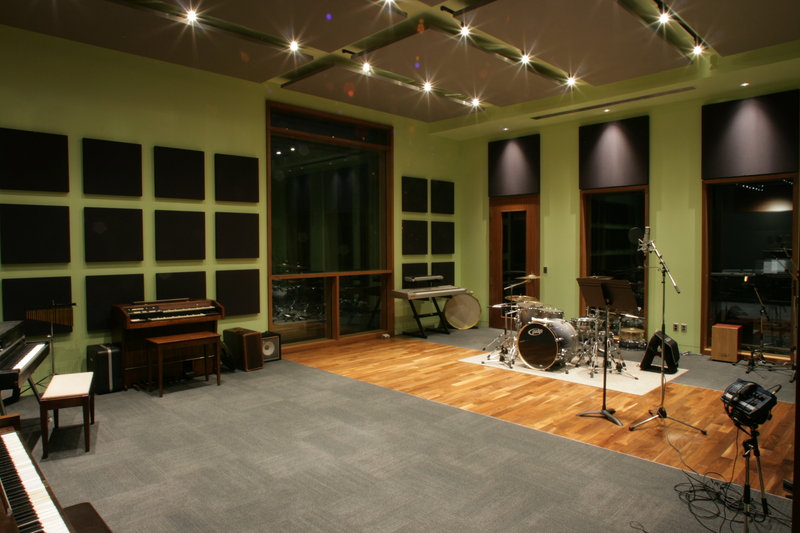 Deerfield Recorders | Pilchner Schoustal International Inc.
Deerfield Recorders is a private facility built on a picturesque acreage 20 minutes outside of Cleveland. 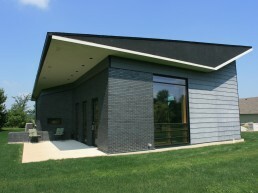 The design features a unique exterior design with an inverted roof assembly. 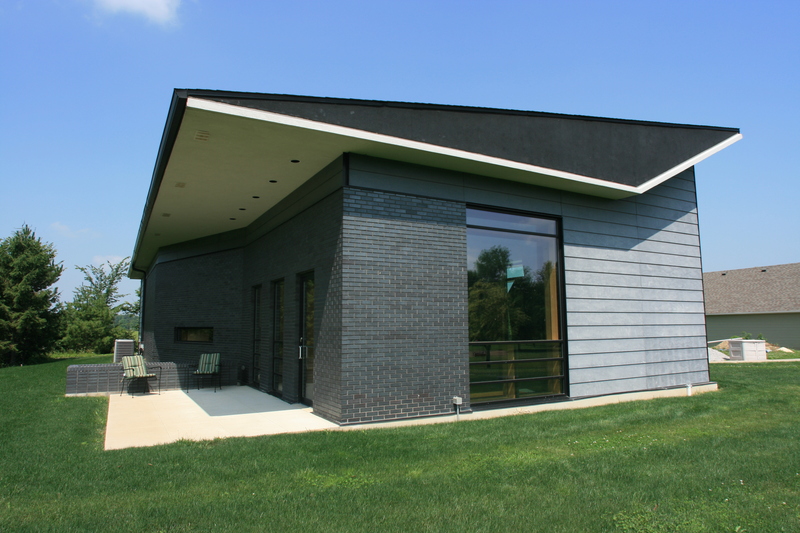 The exterior finishes include black brick and a siding system utilizing cementitious paneling. 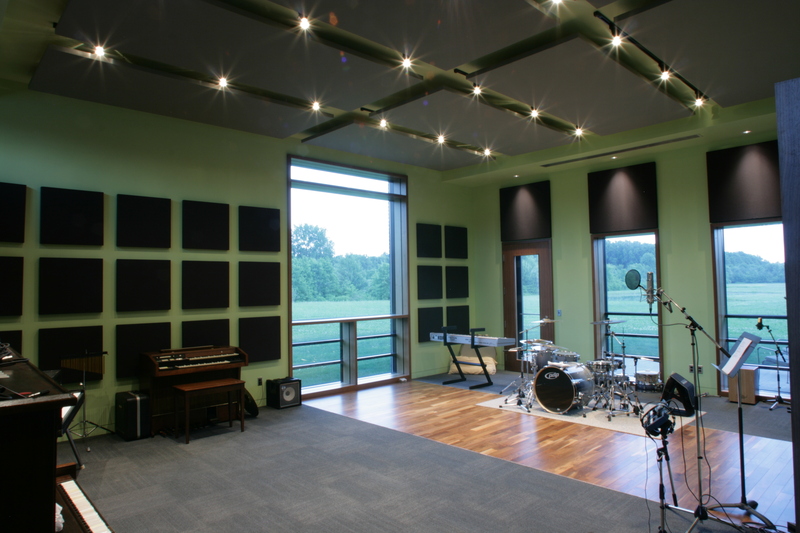 The studio takes advantage of the site by offering great sightlines from the control room and studio proper to the surrounding landscape. 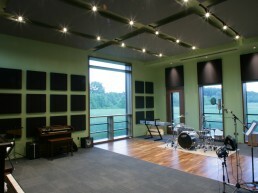 The strategically placed windows also bring in an abundance of natural light. 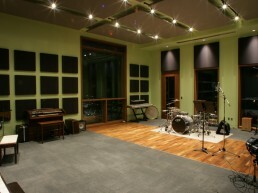 The layout includes a washroom, office, lounge, and kitchen areas, and a large 5.1 control room, isolation booth, and studio proper. 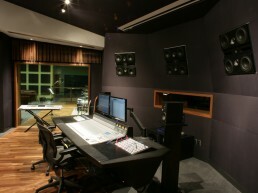 The isolation booth flanks the right side of the control room, and the studio proper flanks the left. 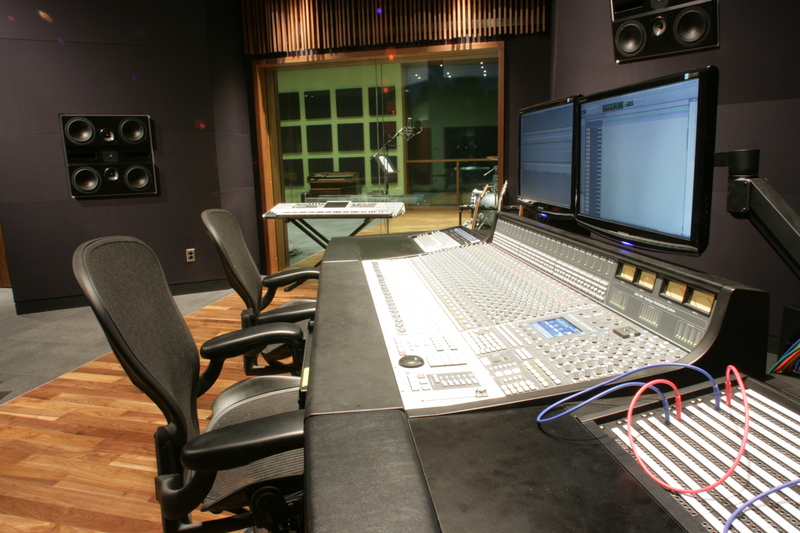 From the mix position the engineer can look forward onto the property, or through the studio window, across the studio proper, through the full height exterior glazing. The large amount of exterior glazing connects the interior spaces to the site. 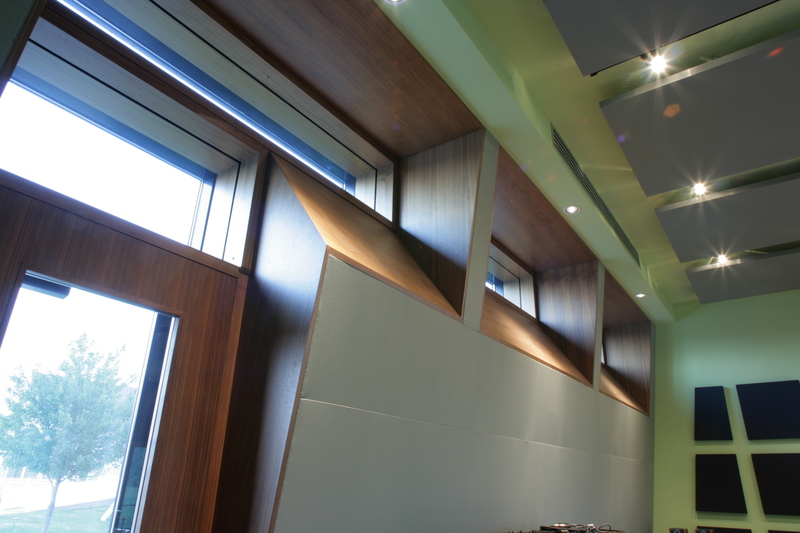 The control has a 5 channel soffit mounted Pilchner Schoustal Q8 monitoring system. 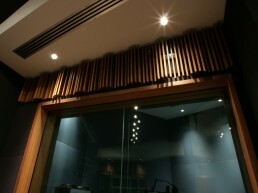 The system is powered by MC2 amplifiers and an XTA crossover system located in the machine room. 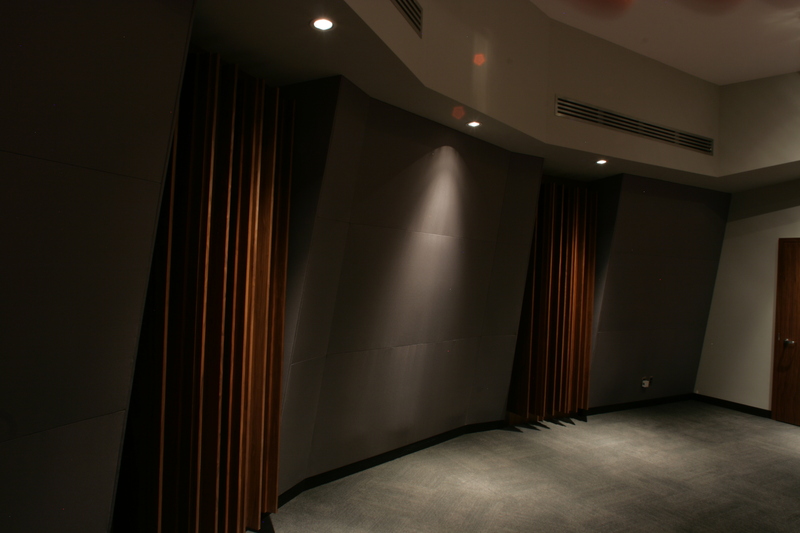 The rear of the control room features a large angular scale low frequency damping assembly that is integrated with custom diffusors. 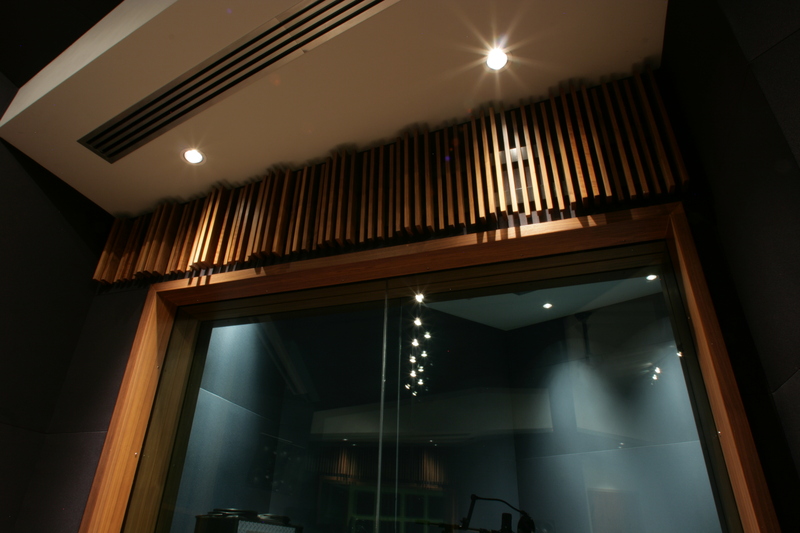 All door assemblies, window systems, diffusors, and built-in millwork items are finished in natural walnut. The floor is also a combination of walnut hardwood and charcoal carpet. 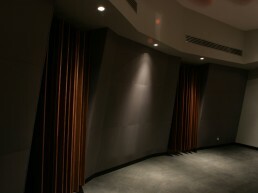 Room colors are keyed to the particular spaces. 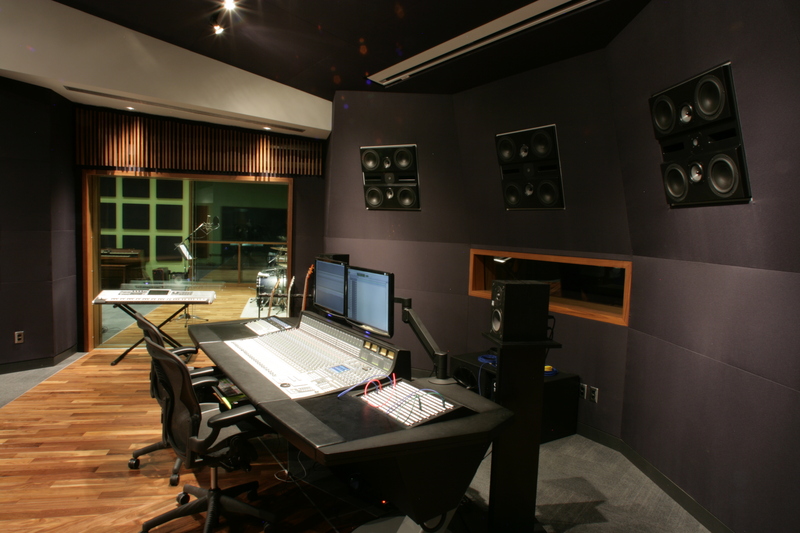 The studio proper features a large angular low frequency trap that plays off the assembly in the control room. The upper portion of this assembly is integrated with a band of clerestory windows. A tapered walnut window jamb ties them to the interior space. 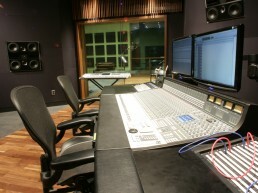 The studio is equipped with an SSL AWS 900, and a nice variety of outboard gear, microphones, and instruments.